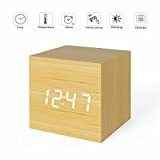 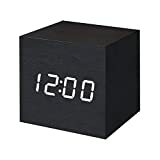 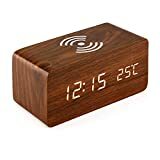 As time keeps on slipping away, at least it won't annoy you while you sleep with this cool new Sound-Activated Wooden Cube Clock. 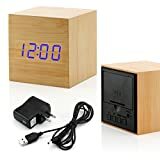 This seemingly simple wooden cube has no display whatsoever until you make a sharp sound like snapping your fingers, clapping your hands, or knocking on the nightstand. 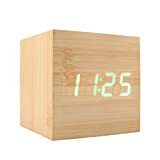 It also has a built-in alarm/snooze, plus tells the date and ambient temperature as well. 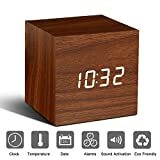 Simple, minimal, and unique.